Friday was another choppy day, high in noise and low in information from the market. 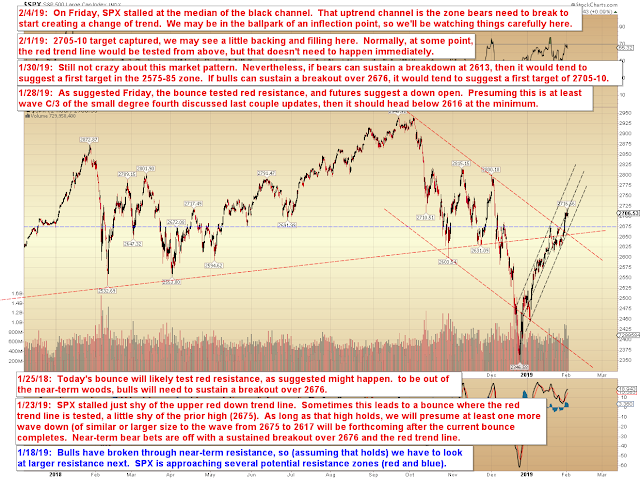 As a result, I still have little to add since Thursday's upside target capture. There is a possibility that we can count five waves up in at least one degree of trend, though it's not clear to me if another wave up is required to complete that. We'll watch the next couple sessions carefully to see if there are any signs of a downward correction. 1. 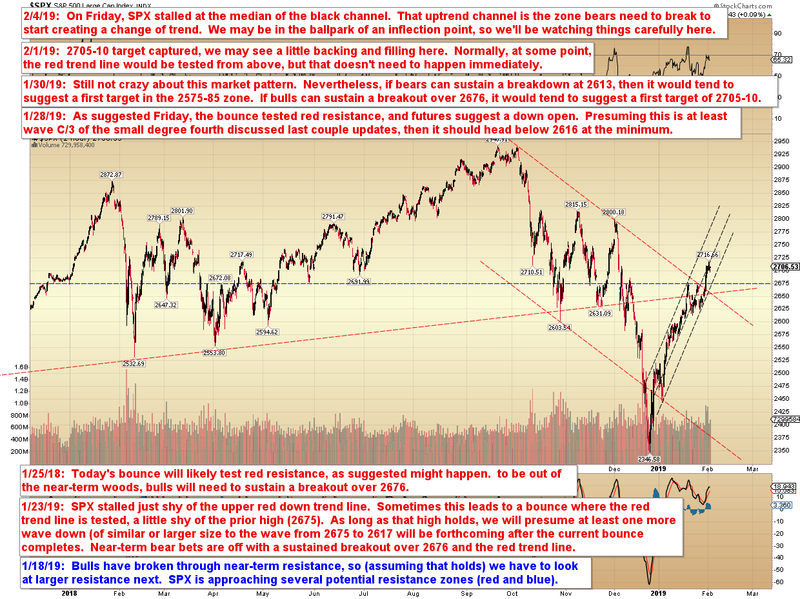 How far that correction might run. 4. if so, how much more upside. In other words, things should clear up in time; ideally, significantly so. Trade safe.